Weekend Open Forum: What's your favorite home gadget? Technology is playing an increasingly important role in and around our homes with each passing day. From smart thermostats and cloud-based security cameras to virtual assistants and Bluetooth-enabled smart locks, technology is making even the most mundane of tasks easier and more convenient than ever. One area of the home that I’ve recently infused with tech is the kitchen. I’ll be frank – my culinary skills are severely lacking, an unfortunate realization considering my desire to experiment with new foods. I suppose I could do things the old fashioned way and simply learn how to cook but why bother when technology is on my side? I recently hitched a ride on the hipster express and purchased a sous vide precision cooker, the ChefSteps Joule which is backed by Valve's Gabe Newell. Also known as an immersion circulator, sous vide involves cooking food in vacuum-sealed bags (or Ziplocs) submersed in water. That may not sound all that appealing but the method offers several benefits compared to traditional cooking techniques and has been used in the restaurant industry for years. For starters, it’s virtually impossible to overcook food as it is kept at the same exact temperature throughout the process. Because food is vacuum-sealed, all of the seasoning and juices are locked in and can’t escape. What’s more, with a persistent cooking temperature, you get a perfectly uniform level of doneness throughout the dish that simply can't be achieved with other methods. I’ve experimented with multiple cuts of steak as well as chicken and sausage in the few weeks since my purchase and am incredibly happy with the results thus far. There are a few shortcomings and some tips you'll want to know but by and large, I’m now able to cook dishes to perfection with very little effort. With this week’s open forum, we’re curious to hear about the around-the-house tech you’ve tried and your experiences with them. What would you recommend and what should be avoided? Let us know in the comments section below. 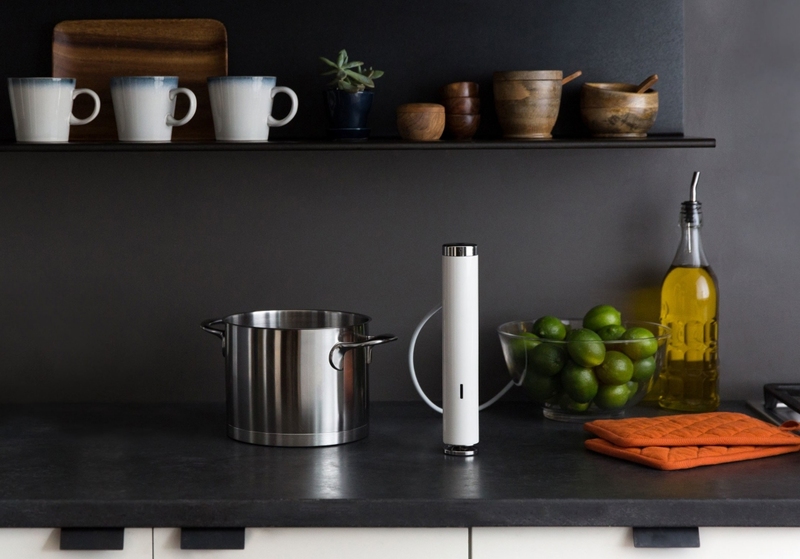 PS – if a full review of the ChefSteps sous vide is something you’d be interested in, let us know as well!